If you’re the type of fan who likes to decorate your holiday tree with Star Wars, cover your desk with Star Wars, and/or cook while wearing Star Wars, then you should be very excited about what Hallmark has coming next year.In 2019, Hallmark will be releasing beautiful new Keepsakes Storytellers ornaments, itty bittys (including amazingly cute versions of Darth Maul and Padmé Amidala in her regal gown), and much more in a delightful, stylistically diverse, and just-plain-fun range. StarWars.com has a first look below and caught up with Christine Taylor, Hallmark’s licensing creative manager, to talk Chewbacca aprons, bringing the voice of Gold Leader to your tree, and, maybe, one more surprise announce. 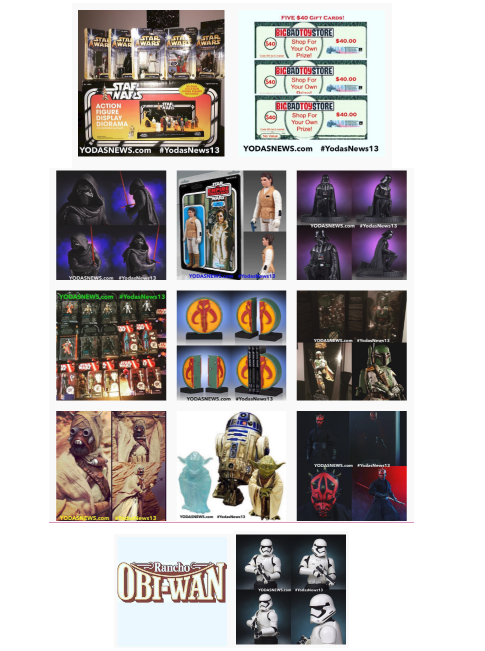 For those attending San Diego Comic-Con, be sure to stop by Hallmark’s booth (#2913-K) in the Lucasfilm Star Wars Pavilion, where this collection of 2019 product will be on display. On July 15, Hallmark Gold Crown stores will unveil hundreds of all-new Keepsake Ornaments—and they’re not all snowmen and Santas! Christine and Kevin share their favorites among the pop-culture offerings for 2017. Plus, you’ll meet Kurt Gaulke, who helps decide which icons of movies, TV and comics will join your tree as Keepsake Ornaments! Snaggletooth™ and Hammerhead™ bring the Mos Eisley Cantina to Hallmark’s itty bittys® line. Hammerhead and a red-suited version of Snaggletooth itty bittys® are designed and packaged with a nod to the original Star Wars action figures. Each itty bitty, packaged in a blister card, has a total production run of 3,000 and sales will be limited to 750 per day. In addition, a blue-suited Snaggletooth will be available “loose”, not carded and has a total production run of 1,000 with sales limited to 250 per day. New itty bittys At Hallmark! New Limited additions are available now in stores and online. Hallmark announced two new Star Wars Itty Bitty Sets – Star Wars Stormtrooper and Star Wars Hoth Collectors Set. 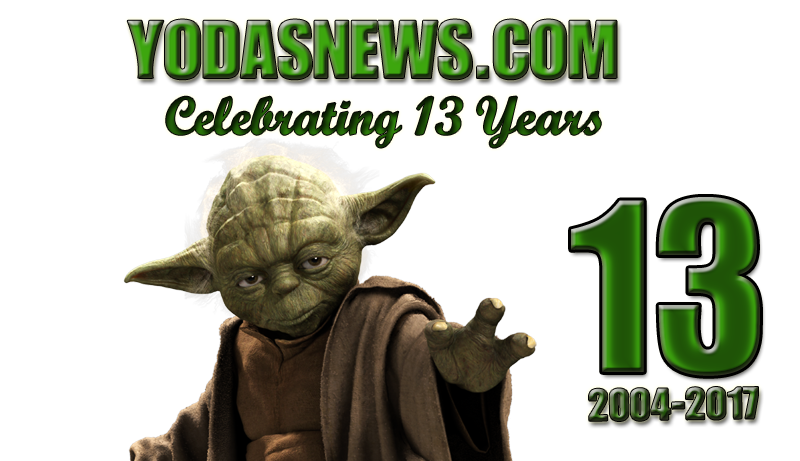 Star Wars Celebration 2015: That’s A Wrap – Round Up with Links! Here is quick guide with links to all the image galleries, videos and news we posted over the last 5 days. We posted over 35 reports between the website and social media! Check out the summary (and over 1,000 images) and direct links below to each report for anything you may have missed! See you in Europe in July of 2016! Celebration 2015: Fans In Costume Gallery 2! Star Wars Celebration Over Sized Topps Vintage Cards Giveaway! Celebration 2015: Fans In Costume! Celebration 2015: LEGO Booth Quick Look! Celebration 2015: Star Wars Cars! 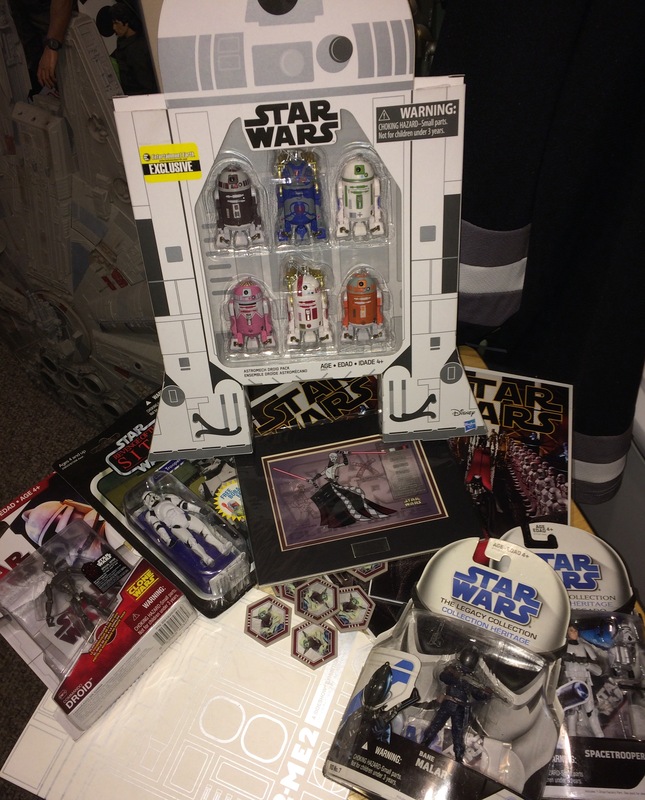 Celebration 2015: Hasbro Quick Look! Celebration 2015: Gentle Giant Booth Images! First images from Celebration Anaheim! KANSAS CITY, Mo. (March 25, 2015) — Hallmark is doubling up on excitement at this year’s Star Wars Celebration with a pair of Hallmark Keepsake Ornaments and a pair of the popular itty bittys® plush collectibles to be available exclusively at the fan event. 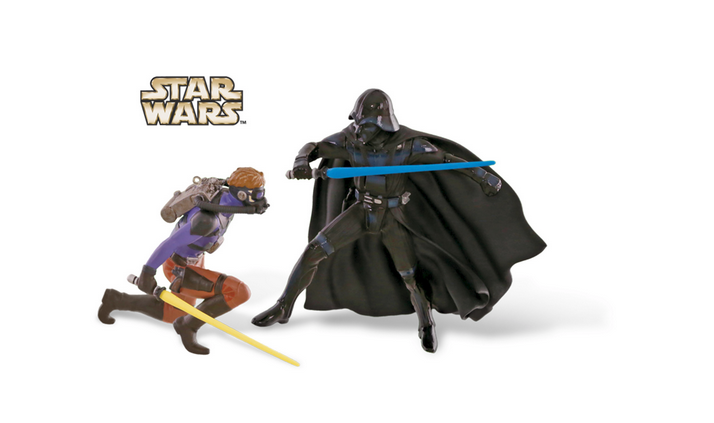 The two-packs will be sold in limited quantities each day of the event, scheduled April 16-19 at Anaheim Convention Center in Anaheim, Calif.
An Epic Vision is the name of the Keepsake Ornament two-pack that features Luke Skywalker and Darth Vader locked in a heated lightsaber duel as inspired by the styling of famed artist Ralph McQuarrie in preproduction art forStar Wars Episode IV: A New Hope. 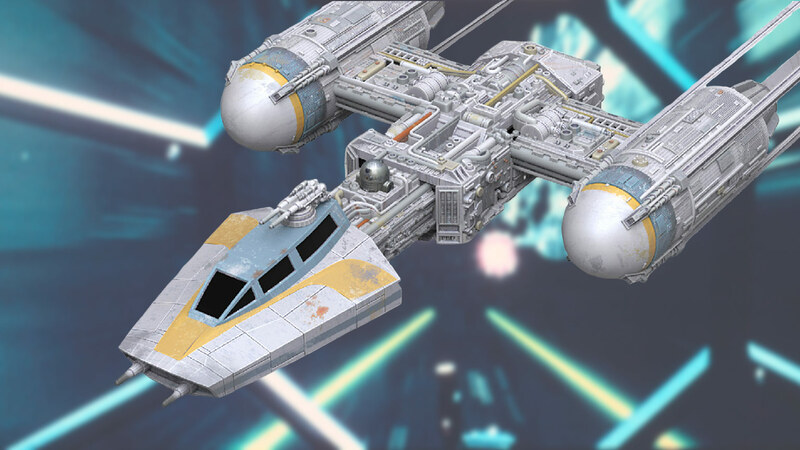 Nearly 40 years since their creation, McQuarrie’s original visions for the Star Wars galaxy of characters, craft and planets continues to inspire and delight fans. An Epic Vision has a total production run of 2,000 and sales will be limited to 500 per day ($40 per set). 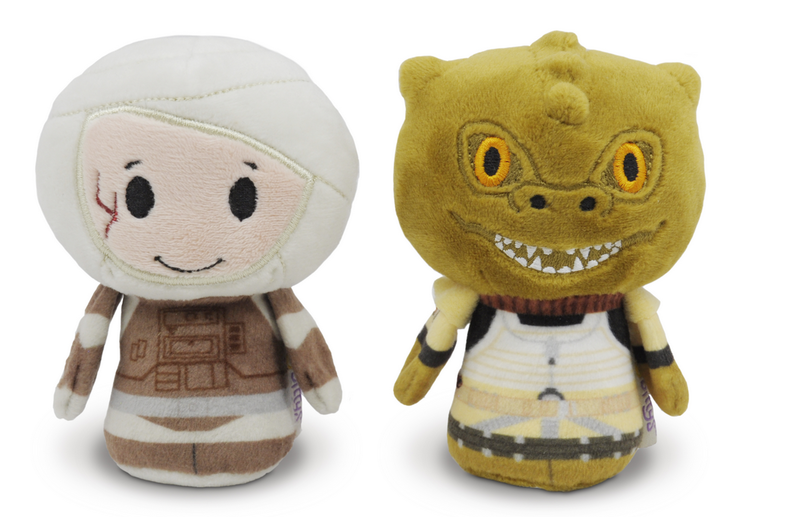 Bossk and Dengar join Hallmark’s itty bittys line with a Celebration-exclusive two-pack of the fearsome bounty hunters seen in Star Wars Episode V: The Empire Strikes Back. 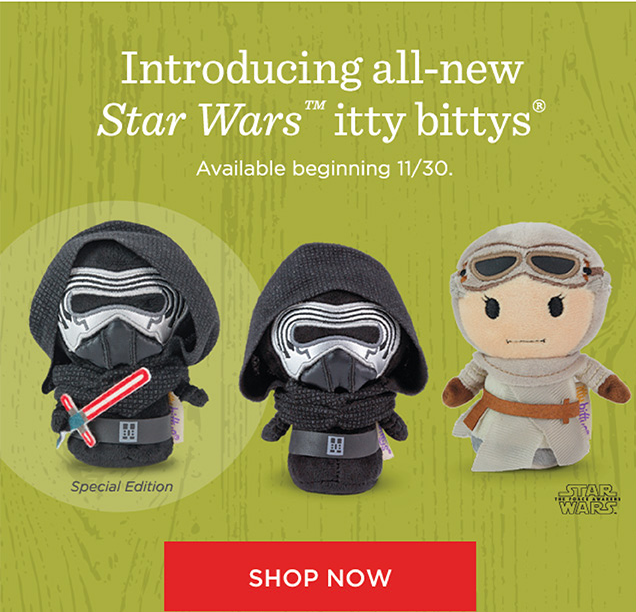 More than a dozen heroes, villains and creatures of Star Wars are now among the iconic characters of film, comics and television to appear as sweetly and uniquely styled plush itty bittys exclusively in Hallmark Gold Crown® stores and online at Hallmark.com. This bounty hunter two-pack has a total production run of 2,200 and sales will be limited to 550 per day ($20 per set). Limited quantity buttons featuring a sneak peek of the newest Star Wars itty bittys collectors set will also be given out at the Hallmark booth (#1434). There are four designs – one for each day of the convention – that will be given away daily in limited quantities of 1,000 of each design. A fifth, secret variant design, will be in limited quantities of 500. Visit the Hallmark booth at Star Wars Celebration to learn more. 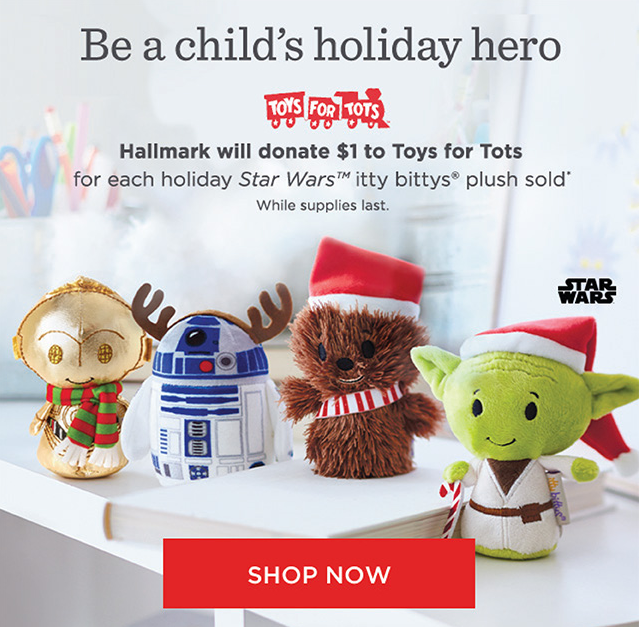 For more information on Keepsake Ornaments, itty bittys and Hallmark’s other Star Warsproducts, visit your local Hallmark Gold Crown store or go online at Hallmark.com.